Gerard Durrell’s conservation centre in Jersey Channel Islands, Jersey Zoo, now stocks a full range of Manomara ethical outdoor skincare products. Buyers at Durrell’s Trinity gift shop are dedicated to offering palm-free products because deforestation for palm oil market devastates Orangutans’ habitat. 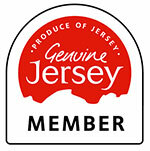 Now, Jersey Zoo stocks Manomara’s low impact formulas made from luxury botanical ingredients. A vegan version of the original best seller Soul Butter is also available at Durrell. Both teams look forward to collaborative work, launching a refillable jar campaign on the Island as well as continuing to cut out one-use plastic packaging. Hollywood star Henry Cavill is an ambassador for Durrell and will be in the Island on Sunday 13th May 2018 for the Durrell Dash, a 13 k run raising money for the conservation trust. Manomara will also be there.